Hi, I am Carla and have just had the best week ever playing Sandy, a mermaid sister in SMP’s mermazing production of The Little Mermaid, an original script by Warren McWilliams with the fantastic production team of Mike Benyon as MD, choreography by Jo Bakhurst and directed by Michael Lacey. The cast have had a ball singing and dancing our hearts out, getting the audience cheering, booing and tapping their feet. Feedback has been overwhelmingly positive with comments like “best show ever”, “worthy of the west end”, “colourful and exciting”. The costumes, lighting, set and props were expertly resourced and pulled together to make a truly fabulous show. Hearing the children clap and cheer and see their faces light up as their favourite characters appear on stage makes your heart swell. I have had the privilege to play a number of roles in SMP’s shows and plays since I joined 10 years ago but this has been my favourite – I am living the dream of glitter, sequins and ballet shoes. 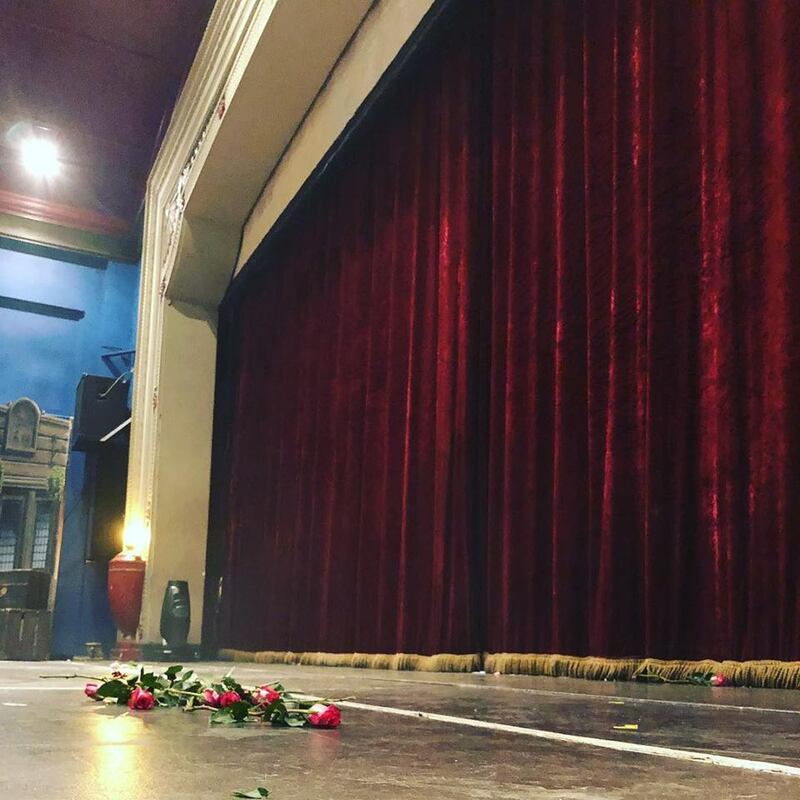 Sadly though the final curtain call has happened and although we all stole many extra bows we have had to pack up and put the magic away until next time. Saturday was a big day with 3 shows back to back as we added an 11am performance, the audiences for all the shows were fab and gave us all the energy we needed. We then headed out to our party on Saturday night which was enjoyed by all. We have our special awards ceremony which sees lots of lunging and some dubious prizes awarded then we dance the night away. The tech team, who have been brilliant all week, have been shifting set pieces, moving lights and dismantling the rigs – a huge job! Despite 7 shows in a long week spirits are still high during the get out and everyone chips in to do their bit. We’ve been sweeping dressing rooms (there was a lot of glitter! ), folding backdrop clothes and returning props – to Big and Red storage who are great partners to SMP. Cloth folding takes on a new competitive edge under the guidance of referee Adam Humphreys as these videos show. Perhaps it’s tiredness or the dust but folding cloths can have rather peculiar effects on people. Putting on a show takes many people and we are so grateful to all of them for giving up their time and talents to us. It has been a magical week and although I desperately want to keep my costume on it is time to say goodbye. The Mermaid Blog – Much Hadham and the PSB’s.